After years of dedicated advocacy, nine chimps were freed from captivity recently—the first of many—and chimpanzees in general will no longer be allowed as test subjects, forced to live in laboratories in the United States. Although the news actually broke in 2015, when the U.S. Fish and Wildlife Service (USFWS) was able to classify all chimps as endangered under the Endangered Species Act (ESA), it’s taken about a year to set the wheels in motion and move the chimpanzees to sanctuaries. Project Chimps welcomed nine of the former lab chimpanzees from the New Iberia Research Center to their new home, a 236-acre facility in Georgia, earlier this week. More chimps are to come. 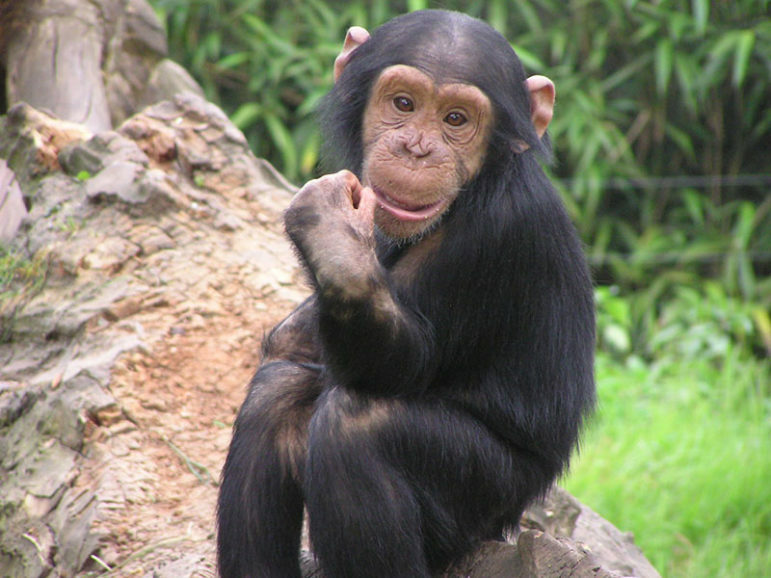 Project Chimps is a nonprofit organization that was started in late 2014 by various chimpanzee, nonprofit, philanthropic and legal experts when it became evident that the government, with growing public and scientific support, was ready to take action on chimps and medical research. The National Institutes of Health (NIH), one of the world’s foremost medical research centers, however, is still in the process of moving all of its chimpanzees to the federally funded Chimp Haven in Louisiana, another sanctuary. In fact, a U.S. Government Accountability Office report from earlier this year stated the NIH has still not developed a clear implementation plan to transfer the chimpanzees (approximately 68 percent remained in labs at the time of the report). The NIH had been phasing out its biomedical research on chimps since 2013 anyway, but hundreds still remain in their labs, many infected with HIV or another disease. The NIH did announce that it would retire the remaining 50 chimps being held for future experiments.